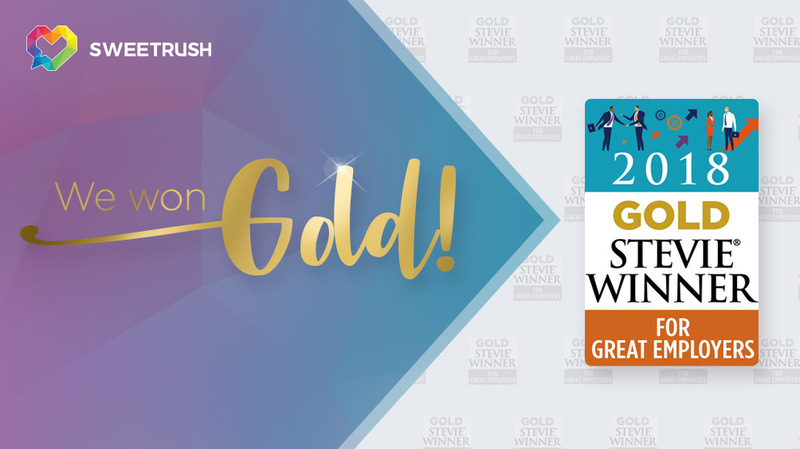 San Francisco, Calif., October 8, 2018 —SweetRush rose above the competition at the 2018 Stevie Awards for Great Employers, earning a Gold Stevie in the Leadership or Skills Development Solution Provider of the Year category. The Stevie Awards for Great Employers recognize the world’s best employers and the human resources professionals, teams, products, and suppliers that support them. This Gold Stevie cements SweetRush’s position as one of the world’s top providers of leadership and skills development solutions. More than 550 nominations from organizations in 21 nations were evaluated in this year’s competition. Check out the complete list of winners at the Stevie Awards website.